Here are some photos and videos to show the capability of the Nikon Coolpix P900. 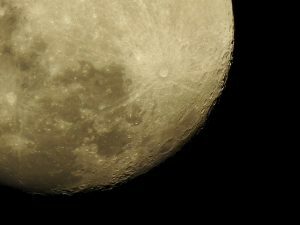 Capturing the details of the Moon surface from 384,400 km away! As you can see, the camera captures the details of the craters lit by side light from lower right. This video shows the ranges the Nikon P900 covers from telescope-like 2000mm to extra wide angle of 24mm. And with up to 2000mm, the camera can compress the scene with its awesome zooming power as shown here. All the pillars seems to be stacked together. I recently purchased the very popular Nikon CoolPix P900. This is an awesome “compact” camera that offers record-breaking 83x optical zoom lens. The range it covers is equivalent to 24mm to 2000mm on a 35mm camera so basically it covers wide angle to telescope range on a light weight portable camera. 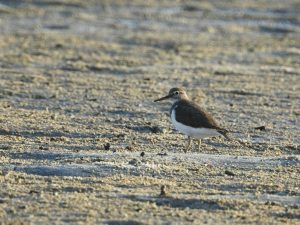 With this camera, you will be able to zoom in on subjects like bird, wild life, tiny creatures like fiddler crabs or distance subject like moon surface that are not possible even with expensive camera and long lens. The quality of image cannot be compared to professional camera and lens like 200mm/F2.8 or 300mm/F2.8 but the image is good enough for most usages. Beside still images, you will be able to capture video that is only possible with this camera. Below are some images and videos captured with this outstanding camera from my first couple weeks of shooting. These birds are very sensitive. They will be scared away with our little movement so the P900 comes in handy when we would like to take this type of pictures. The tiny little fiddler crab is about half an inch large and they will hide in their hole when we approach them. With P900, we can shoot from distance without attract their attention. 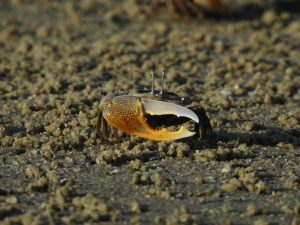 And the video of the cute little fiddler crab busy eating sand. Nikon CoolPix P900 is without a doubt a winner. 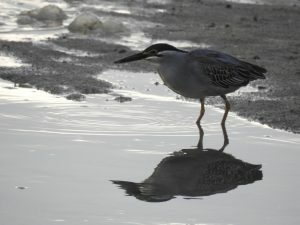 It just enables us to take many images that are otherwise impossible even with high end expensive camera system. Digital images captured with our digital camera can be enhanced drastically with some simple software editing. 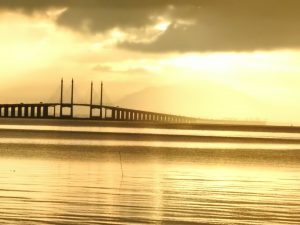 Here I would like to share some basic editing techniques that can be done with most of the photo editing software. 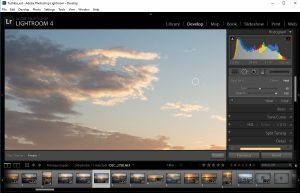 This is a tool that can drastically enhance your images with a few clicks. To begin, drag the arrows from both ends until they meet the histogram. This will lighten the white or bright area and darken the shadow. The white arrow on the right is for the highlight while the black arrow on the left is for the shadow. You can also try to bring the arrow further to increase the contrast more if desired and if that bring more punch to the image. Another thing to try out from the level tool is to move the middle arrow left or right to change the mid-tone area. 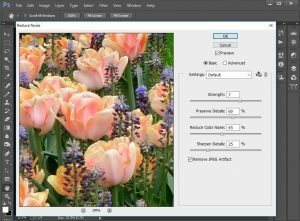 Another easy to use tool is the saturation adjustment. Simply pull the saturation arrow to the + side or just enter a positive number in the saturation adjustment window. 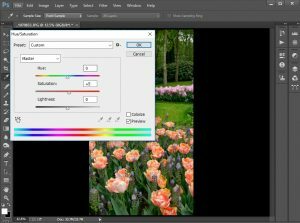 Typically we are adjusting the saturation for all colors but if would like to enhance the saturation for certain color only, instead of applying to the master, you can choose the color from the drop-down menu specifically. For example, you can only enhance the green lawn in the image below. Some of our photos may not be captured perfectly due to slight out of focus or camera shake. One simple way to rescue it or enhance it is using the sharpening tool in the photo editing software to sharpen it. In photoshop, the first sharpening tool I will try is the unsharp mask. Try to various the amount and radius until you are happy with the result. 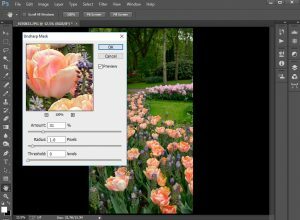 You can also try the sharpen more tool to further increase the sharpness. Digital camera are equipped with capability to shoot in low light situation nowadays. This is accomplished by increasing the camera’s ISO setting to increase sensor’s sensitivity to light. The downside is it is inevitable to introduce noise to the final image. Unless it is captured with full frame camera where the noise level are exceptionally good nowadays, most camera will produce noticeable noise for ISO 1600 and above. The good news is the photo editing software now are pretty good at reducing the digital noise while maintaining the sharpness and contrast. 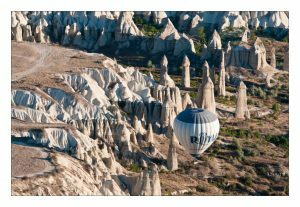 The example below is the reduce noise filter in photoshop. 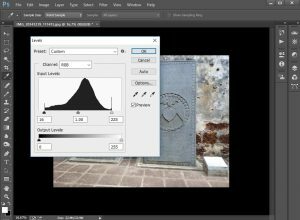 You can vary the strength and preserve details setting to see the result. If you have not use this feature before, you will be amazed by the good results. Digital camera especially DSLR where you can switch lens for different purposes or different situation. Over time, the sensor will gather dusts and if you are using small aperture (like F11, F16 or smaller) for better depth of field, likely you will notice some small dots on the captured images. Those small dots and spot are pretty annoying and distracting, however, removing them in photo editing software is very simple. 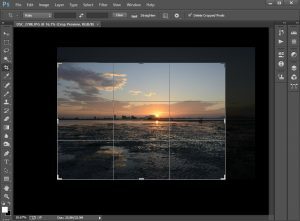 In Lightroom as well as photoshop, there is a spot removal tool, all you need to do is click on the spot and the tool will find neighboring area to sort of clone it for you to remove the spot. When you find that there are too many of these spots in you photos, it is time to do a little bit of cleaning by using the blower to blow away those dusts. If the problem persist, send your camera to professional lab for cleaning. Cropping is one of the easier way to improve your photos. 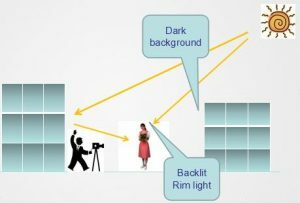 Whether you were limited by the lens’ reach or you forget about rules of third while taking the photo in a rush, you can crop it in post-production to improve the composition. In the example below, the captured image is quite dramatic in terms of color and subject but the right side seems to be too empty. By cropping slightly to keep the left 80% and remove the plain sky above, the photo become much more interesting. 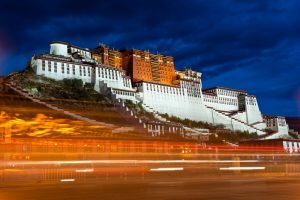 How important is light in photography? Well, without light, there is no photograph! Light is the number one important factor in photography. You can get good photography with normal subject with great light. To understand the difference, we can just compare the images/video of most TV series with movies. Movie scenes look much more beautiful and the most important difference is the lighting (movies spent lot of budget on creating great light, great atmosphere). With light itself, it is not enough. 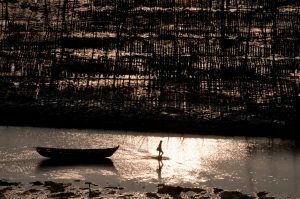 Photograph is two-dimensional and to make it looks 3-dimensional, it requires another element which is shallow. Next, lets look at types of light. Light illuminates the subject from the front. Light source is behind photographer. Here is one example of a photo lit by front light. Nice place, interesting subject but the photo lack dimension and depth. Below are some examples of side light effect. 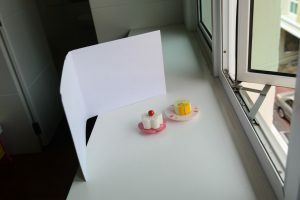 As you can see the side light creating side shadow, the long shadow make the photos look much more 3 dimensional. Some examples of photos taken with back light. It will make the ordinary subjects more dramatic. 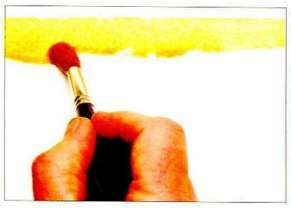 Whether it is for the background or any large area painting, flat wash is the fundamental technique of watercolor as normally it is the first step of the painting. Once we master the technique to paint a smooth, nice and neat flat wash, we can change this technique a little bit for gradient wash. Tilt the painting board slightly and with a large flat brush or round brush, pick up plenty of well mixed pigment, paint horizontally (normally from left to right if you are right hander). While it is still wet, paint the second stroke below and overlap slightly with the first stroke. Continue the next stroke and repeat the process until the end. Use tissue or dry brush to absorb excessive water at the bottom. Because each stroke is wet and overlap with previous stroke, the paint will mix together naturally and form a nice and even wash. Tilt the painting board about 10 degree. Wet the whole paper, pick up the well mixed pigment and paint from the top horizontally. 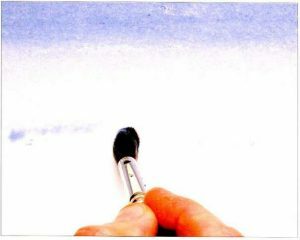 Add more water to dilute the paint and same as flat wash, continue with second stroke below and overlap slightly with first stroke. Continue the process and gradually mix more water with each stroke. With this technique, you can also paint from bottom to top, left to right or right to left to create the desired gradient. 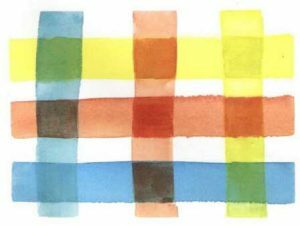 This technique utilises the transparent characteristic of watercolor to create different tones by overlapping washes. In this technique you let the paint to dry completely before adding successive layers of the same color. 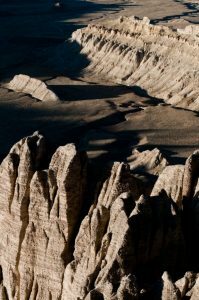 Each additional layer darkens the color and can be used to create shape and shadow. The effect of this technique is hard edge between layers. Glazing is basically overlaying washes of different colors. With glazing, you can create different tone and color with each overlaying layer. It is important to let the paint completely dry before applying the next layer to avoid the colors to blend and running together. If you are overlaying different color, it is important to know how these colors will interact with each other. Pre-wet the paper with water or some light & watery paint, mixed the pigment and apply it on the wet paper. The pigment will blend with the water and your stroke will diffuse and spread and the edge will become softer and softer. With wet-in-wet, you will never 100% sure what is going to happen as the result depends on the wetness of the paper, the thickness of the paint, etc. but this is actually the fun and attractiveness of watercolor. We can use thick paint as well as thin in to create different effects. It is also possible to rewet certain area and use the wet-in-wet technique to create defused object against the sharp edged base. 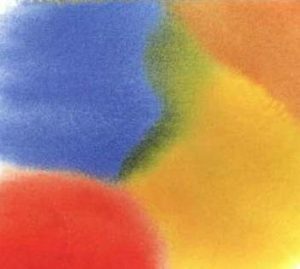 This is a fun technique to explore and when use correctly it will create naturally looking painting for area require random shape & color. 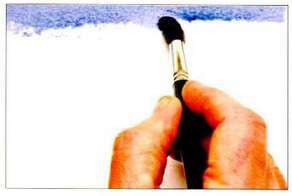 Load your brush with adequate amount of paint and tap or knock the brush against your finger or another brush handle, let the paint splat onto the wet or dry paper to create different look. Do this for light color first and using larger brush first before moving to darker color and smaller brushes. 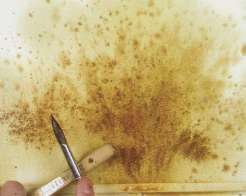 This technique requires some experiments to see the effect and to see how the paint will splat. This is the only transcontinental city in the world.The Bosphorus Straits splits the city into two, the west side is in Europe while the east wide is in Asia. This is a city with 2600 years of history and was once the capital city of the Roman Empire, the Byzantine Empire and the Ottoman Empire. East and West civilization meet here, Christianity and Islam coexist here, tradition and modernity collide here.It has been known for its excellent geographical location, rich historical sites and fascinating fusion cultures since ancient times. Its mosque, museums, churches, palaces, fascinating buildings, small streets and lanes, have so many people falling in love with it and keep coming back; this is Istanbul, a beautiful city created by the fusion and conflict. This is a photographer’s Paradise. With its rich culture, magnificent ancient buildings and the people. 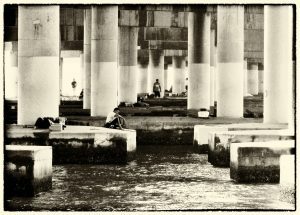 There is definitely no lack of interesting subjects to photograph.Here I will share some photos taken in this wonderful city. Blue Mosque is without doubt Istanbul’s landmark building. The magnificent, unique and luxurious Mosque was built during the Ottoman Empire. 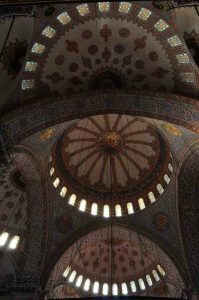 The blue mosque got its name because of blue-glazed tile of the internal walls of the mosque. In fact, its real name should be the Sultan Ahmet Mosque (Sultanahmet Camii). It is also the center of old Istanbul. The Sultan Ahmed Mosque was built during the reign of Sultan Ahmed I, 1609-1616. 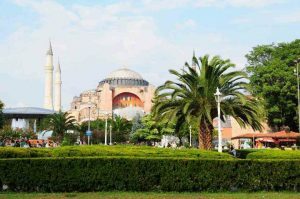 Aya Sofya is located opposite the Blue Mosque. 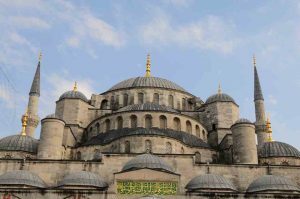 Before 1453, it has been the Byzantine Empire’s main church, it was later occupied by the Turks and converted into a mosque. This is a famous historical building in Turkey,it was being built from the year 325 AD. The Aya Sofya building we see today has been through a series of the wars, reconstruction and expansion. 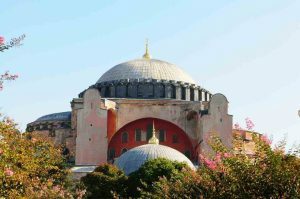 It represents part of Byzantine culture and the mosaic of the cathedral mural will tell you the history and let you appreciate the beauty of Byzantine art. 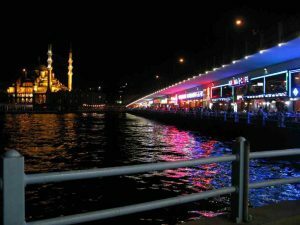 Galata Bridge across the Golden Horn Bay, is the main gateway of Istanbul. 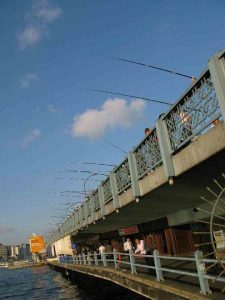 Galata Bridge has gone through several reconstructions, the existing Galata Bridge is the fifth in history and was completed in 1994. 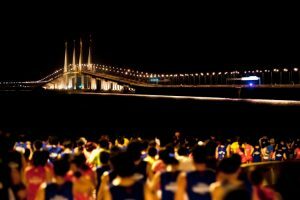 The length of the Bridge is about 490 meters. 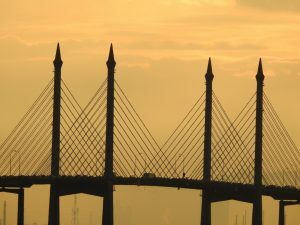 The middle section of the bridge can be opened to allow ships to pass through. 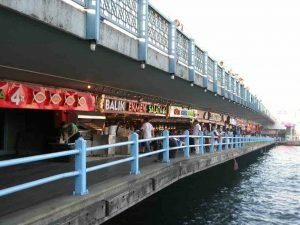 Since the 19th century, the bridge is often mentioned in Turkish literature and art. 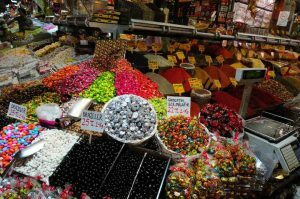 Istanbul’s Grand Bazaar is one of the largest and oldest Bazaar in the world. It is so large that it has 26 entrances, with at least 58 indoor streets and over 4,000 shops. 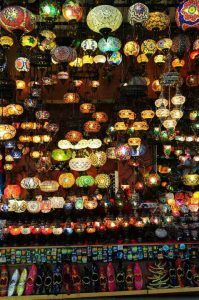 Built by Sultan Mohammed II from 1455 to 1461, the Grand Bazaar consists of 12 main buildings, with 22 doors, mainly selling jewellery, ceramics, spices, carpets and other items. Many of the stalls are centrally managed, such as leather and gold jewellery. 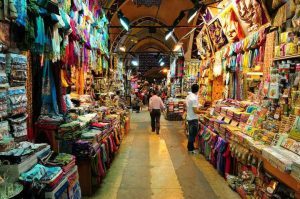 You can find almost everything in Grand Bazaar including scarf, clothes, gold, carpets, blue glasses, apple tea, desserts, coffee and other kinds of Turkish local products. When shopping, be sure to keep your eyes open to watch out for all kinds of temptations and traps. This is a good place to exercise your bargaining skills. Turkish kebab is very famous. 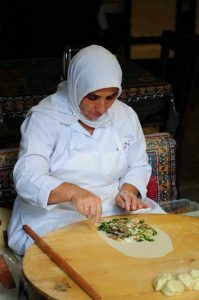 It is a must try when visiting Turkey. 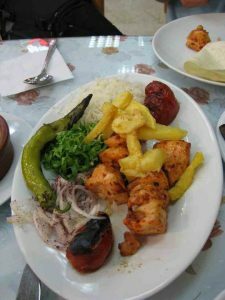 Delicious food does not mean you have to go to the restaurant, those kebab and street food are also very yummy.Want to try some light food, you can also easily find grill corn, chestnuts, crispy sesame bagels on the streets.The Turkish ice-cream is also a must try. Not only it is delicious, the ice-cream seller will perform various action to amuse you to delight your day. Watercolor brushes come in different shapes, sizes and built with different materials. Which brushes meet your needs and budget? Let’s go through this in this article. Many watercolor brushes are made from animal hairs including sable, squirrel, pony and ox hairs. Sable and squirrel brushes are most commonly used among professional artists for their ability to absorb a lot of water, hold and maintain very fine point at the tip and the spring of the hairs. Among these, the kolinsky sable is the finest and most expensive. Kolinsky sable got its name because the hair is obtained from the tail of the kolinsky, a species of weasel (not really sable). The finest is made from male’s hair only but most on the market are mixed of male and female hairs. Squirrel brushes are slightly lower in price but are still quite expensive. Most of the modern high quality large mop type brushes are made from squirrel hairs. Famous watercolor artists like Joseph Zbukvic and Alvaro Castagnet like to use these types of brushes for both large wash and detail work. Brands like Da Vinci, Escoda, Rosemary all make very good watercolor brushes. If you would like to avoid animal hairs, there are also many brushes made with synthetic hairs and which very good quality nowadays. They have different characteristic then the natural hairs but are also widely used. Some synthetic hairs have been made to mimic the characteristic of sable hairs; they do hold a lot of water as well. Da Vinci Cosmostop Spin series, Rosemary, Escoda Synthetic, Loew Cornell synthetic are some good synthetic brushes to be considered. 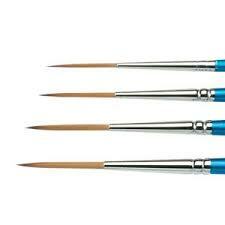 Round brushes are the most widely used among watercolor artists for its versatility. They have a round body that holds adequate paint for painting large areas and have a rounded point (especially good quality round brushes) for painting fine lines for detailed work. For beginners who will be working on medium size painting, round brush size 8 for large stroke and size 4 for more detailed stroke is sufficient. Mop is mainly for painting large areas like wetting paper or painting skies. They contain large quantity of soft hairs (usually squirrel or goat hairs) to absorb a lot of water and pigments. Flat brushes have flat shape and straight edge and is usually rectangular in shape. 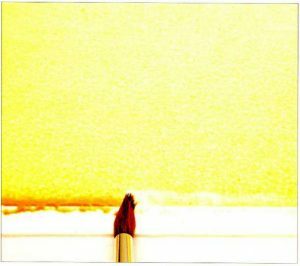 They are mainly used for painting rectangular objects like walls, bricks, etc but it is also possible to use the edge of the flat brushes to paint small details. 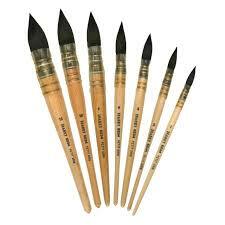 Besides, large flat brushes can also be used for large area washes as they hold a lot of water and pigments. 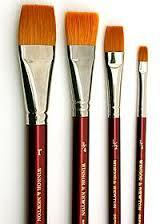 Use 1 inch or larger flat brush for large area wash, 1/2 inch for painting. Riggers have long and pointed hairs that can hold a lot of pigments. They were originally designed to paint the rigging on boats and that is where the name came from. Nowadays, many artists like to use it for fine details and expressive line work including tree branches, leaves, reflection on the water, etc. 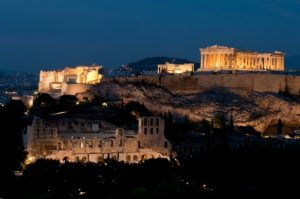 Athens (Greek: Αθήνα) is the largest city and the capital of the Greek republic. It has a typical subtropical Mediterranean climate. As of 2011, Athens had a population of 745,514 people and has a total land area of 412 square kilometres. It is the eighth largest city in Europe and one of the EU business center. 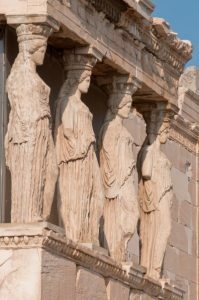 Athens has a recorded history of up to 3,000 years; it is known as “the cradle of Western civilization.” Athens still retains a lot of historical sites and a large number of works of art, the most famous of which is the Acropolis of Parthenon which is regarded as a symbol of Western culture. Athens’ Acropolis, Greece’s most famous and outstanding ancient buildings, was the center of religious and politics in the ancient days. Acropolis’ size is about 4 square kilometers, located in the center of Athens Acropolis hill; it was built in 580 BC. The earliest buildings in the Acropolis were the Athenaeum and other religious buildings. Acropolis in Greek means the city of high land. 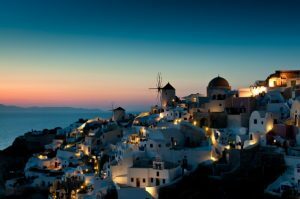 Santorini is one of the most beautiful and romantic island in the world. A must visit island if you are in Greece. 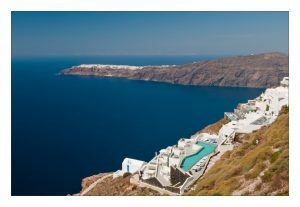 It is located in the southern Aegean sea, about 120 miles from the mainland. Oia town is the second largest town in Santorini but it is the most beautiful town. It is built on the cliffs of the sea and is considered to be the world’s most beautiful place to watch the sunset. 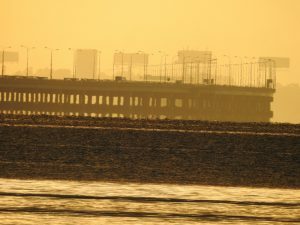 Every day thousands of tourists from all over the world gather here to enjoy the beautiful sunset. 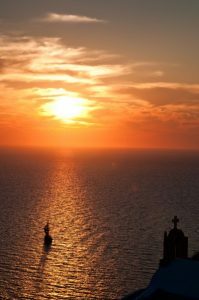 The blue-top churches built on the cliffs, the numerous nice looking white houses, as well as traditional Greek windmills make the view especially the sunset absolutely gorgeous, stunning and unforgettable. It is every photographer’s paradise. Stay here at least few days. 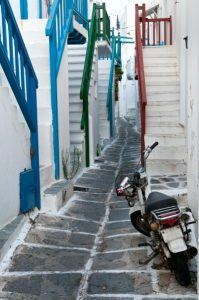 Mykonos Town is the best representation of the Cycladic Architecture. 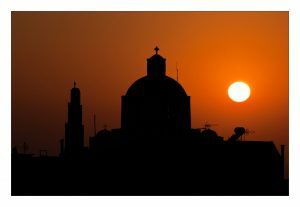 It is one of the most attractive places of the Cyclades islands. The narrow streets with the bright white buildings on either side seem to have no end. May take you to a quiet church, may also bring you surprises with a unique store. Greek mythology says that the island of Mykonos is made of the broken body of a giant killed by Hercules. Its famous landmark is the iconic 16th-century windmills, which sit on a hill above the town. 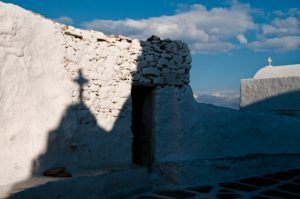 There are more than 300 small churches on the Mykonos Island. Walking through the narrow residential street, you will come across a small church every few houses or shops. One famous resident of Mykonos is actually the cure Pelican. It strolls in the streets every day, and when you eat in the open-air restaurant, its big mouth will try to share your dinner. In 1954, after a storm, a pelican decided to take this island as home, islanders named it Pedro, it has since become the mascot of the island. The original Pedro has long passed away; the islanders miss it, and so they get a new one to let the legendary continue. Many combinations of aperture, shutter speed and ISO will give us correct exposure. 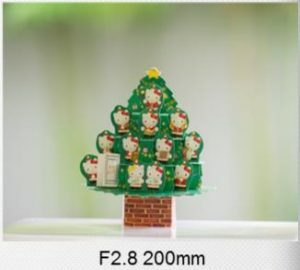 For example, ISO 100, F4, 1/250, F5.6, 1/125, F8, 1/60 and ISO 200, F8, 1/125 will give us same correct exposure in terms of brightness of the photo. 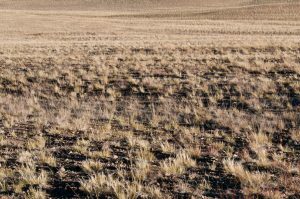 Which correct exposure setting to use? Well, choose the combination that gives us the desired effect. In order to know what the desired effect is, we need to know the effect of aperture and shutter speed setting. For ISO, use the lowest possible as lower ISO gives us better quality with less noise. However, as mentioned before, crank up the ISO when necessary to avoid blur image. Image with noise is still better than unintentional blur image. Image with noise can be improved significantly in the retouching software nowadays. Depth of field is the distance that appears to be in focus in front of and behind the focus point. It is affected by aperture, lens focal length, and the distance to the subject. The table below summarizes the effect of aperture, focal length and distance to subject on the depth of field. 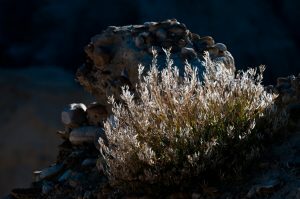 To achieve the shallowest DOF, use the largest possible aperture, long focal length and move in closer to your subject. Fast shutter speed has the ability to freeze the motion and action to capture moment that our human eyes can’t see. Slow shutter speed will introduce blur to the image and when use correctly can emphasize the motion and direction. However, bear in mind that you may need to mount your camera on tripod if shutter speed is too slow. Below are example of images captured with slow shutter speed. Instead of getting a perfectly still image, now we can some some movement from the otherwise still image. How to avoid blur image for static subjects? How to avoid blur image for moving subjects? Again, pay attention to shutter speed. This technique takes some practice to master it. The speed you pan is especially important as you need to anticipate the speed of your moving subject.